Italian Cultural Institute was found in 1941. It aims to strenghten and improve the knowledge and understanding of both italian culture and language in Finland. Kallio Brewery creates limited edition craft beers and other beverages with a wicked passion. These beverages taste refreshing and natural, and they are fantastic to enjoy with food. We appreciate nature and are well aware of the great aromas that wild nature, especially the forest, can produce. Every country has its own unique character, a palette of tastes that cannot be created anywhere else. We want to discover these ingredients and create unique flavours that have never been tasted before. Martela is one of the Nordic leaders in the office interior industry. A passion to offer the best workplaces has been guiding the company for seventy years.In addition to innovative and ergonomic furniture solutions Martela designs and implements various workplace related services.Martela helps improve the employee wellbeing while at the same time increasing the space use efficiency in workplaces, schools and welfare environments. Aalto University is a multidisciplinary community of bold thinkers, where science and art meet technology and business. The Department of Art educates and prepares professionals in the fields of art education, visual culture, curating, and contemporary art. The department is recognized internationally for high-quality artistic and art pedagogical activities, scholarship, and research. We’re obsessed with colour, so we don’t just print your photo. We ensure perfect end results by having our Print Master work with you to colour proof your art before printing begins. We are also the only printing company in Scandinavia licensed to provide the Diasec® face-mounting process, rendering artwork totally flat and more vivid than ever. And not only that, we provide a framing service to give your work the presence and impact it deserves. Coloria Oy has carried on the tradition of making paint in Nokia since 2003. We are a family-run business and we make quality products for both regural consumers and professionals. Quality, professionalism, customer service and reliability; something we are known for. Pro Av Art Oy is specialized in providing services to museums, galleries and media artists. We help them to find suitable technical solutions and display devices which they can rent or buy from us. We at Pro Av Art Oy offer versatile audiovisual expertise and products especially designed for the use in museums and galleries: projectors, HD media players, DVD’s, screens, front and rear projection surfaces, control systems, synch HD and DVD equipment and audio and direct audio products. This all for sale or rental. Our long experience in the installation and maintenance of media art ensures that the work of art functions just as the artist originally planned it. We select and test the rental equipment, install it and organize transportation. We always use equipment that represents the latest technology. Radio Helsinki is the voice of the city. Unique, format-free music radio, that represents the sharpest top of radio journalism and music curation in Finland. Furthermore, our programme offers versatile talk shows that dive into politics, literature, food and sports. G Livelab and Radio Helsinki together have founded Ystäväklubi, which is a club for people who share the love for music and urban culture. As a member, you can enjoy gigs, museums and other events together with a friend – two for the price of one. Kustannus Oy Taide was established in 1988. The Artists´Association of Finland is the main owner. Kustannus Oy Taide is mainly focused on producing Taide – magazine and book publishing. We publish pieces from the fields of art theory, philosophy of art and art education, as well as, classics, artist books and other literary works of fine art. 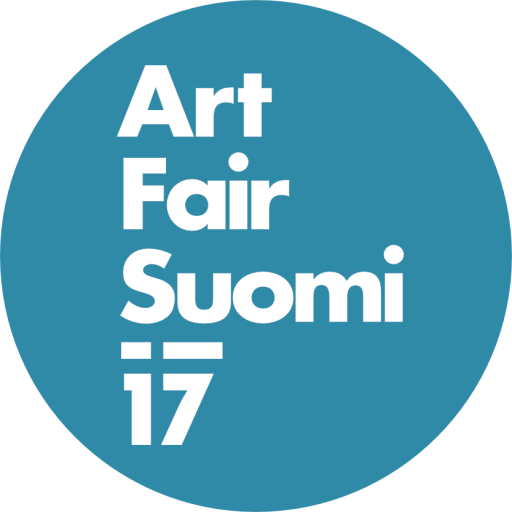 The Artists’ Association of Finland (Suomen Taiteilijaseura – Konstnärsgillet i Finland) is the umbrella organisation of visual artists. Through our member organisations we represent ca 3 000 professional artists in Finland. We work to secure policy and legislative change to encourage the growth and development of the sector. We also provide services to our members, including training courses and legal advice on, for example, contracts, social security and taxation. Trio-Offset is a printing house with over 45 years of experience. Offset Lindström Oy on has served customers with steady expertise since 1997. We print quality business cards, forms and envelopes. We cooperate with reliable contractors and suppliers, which ensures that the products are ready in time. We work both for the national companies and international export markets. We are always eager to prioritize the customer needs. Yucca Group Oy gives you everything concerning lighting, sound and picture. From planning to execution and from programs to technical production. We put emphasis on innovative ideas, quality and customer service. We bring a fresh breeze of new ideas to the field – combined to our long experience. Rather than slowing down development, the direct and indirect experiences of the past have served as a launchpad for the new spirit of innovation which drives the men and women who have worked and continue to work for Cellini.